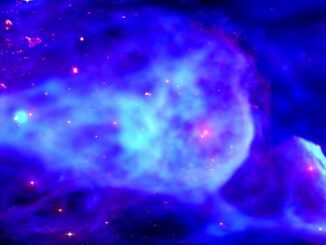 A 360-dergree visualization of the Milky Way’s core from the perspective of its central supermassive black hole shows the chaotic motion of nearby stars and gas clouds. 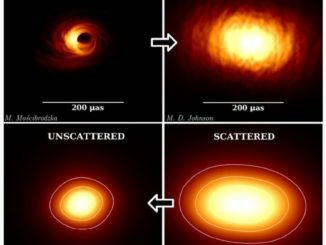 High-resolution virtual views of the Milky Way’s supermassive black hole indicate one if its powerful jets could be aimed roughly in the direction of Earth. 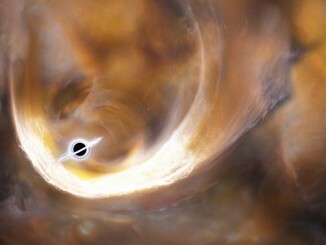 Spectrographic data indicates several unusual compact dusty objects are circling the supermassive black hole at the core of the Milky Way, the possible result of stellar mergers triggered by the hole’s titanic gravity. 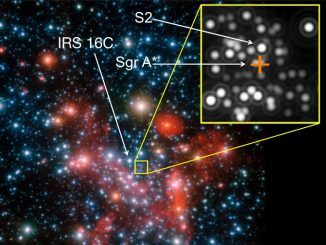 The Chandra X-ray Observatory has detected a dozen X-ray binaries containing stellar-mass black holes near the core of the Milky Way. Theoretical analysis indicates thousand more likely are lurking unseen. 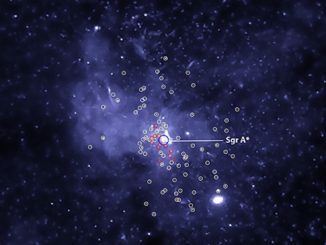 A European team of astronomers have used the new GRAVITY instrument at ESO’s Very Large Telescope to obtain exciting observations of the centre of the Milky Way by combining light from all four of the 8.2-metre Unit Telescopes for the first time. These results provide a taste of the groundbreaking science that GRAVITY will produce as it tests Einstein’s general relativity. 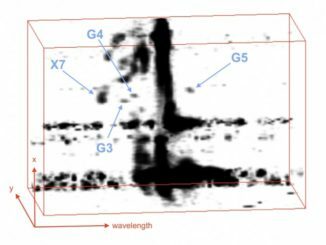 A team of astronomers has found an enigmatic gas cloud, called CO-0.40-0.22, only 200 light-years away from the centre of the Milky Way. The cloud contains gas with a very wide range of speeds. 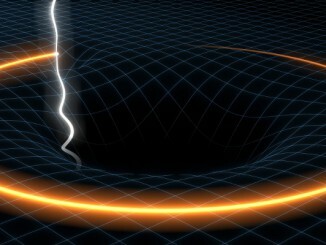 The so-called velocity dispersion is best explained by the gravitational attraction of an intermediate mass black hole. If that is the case, then this is the first detection of such a body.